The NYX by Yocan is an easy to use heating attachment that uses a pure glass quartz element to create a truly pristine quality of essence. 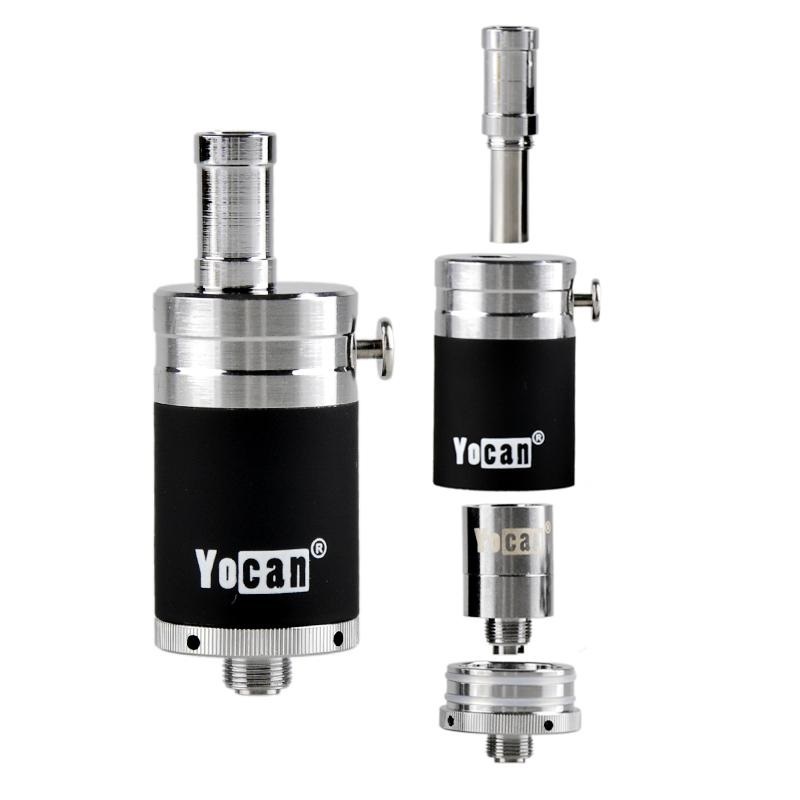 Yocan's NYX atomizer features a stainless steel structure that makes this device as durable as can be, leaving you with a long lasting device that will look and perform like new for much time to come. 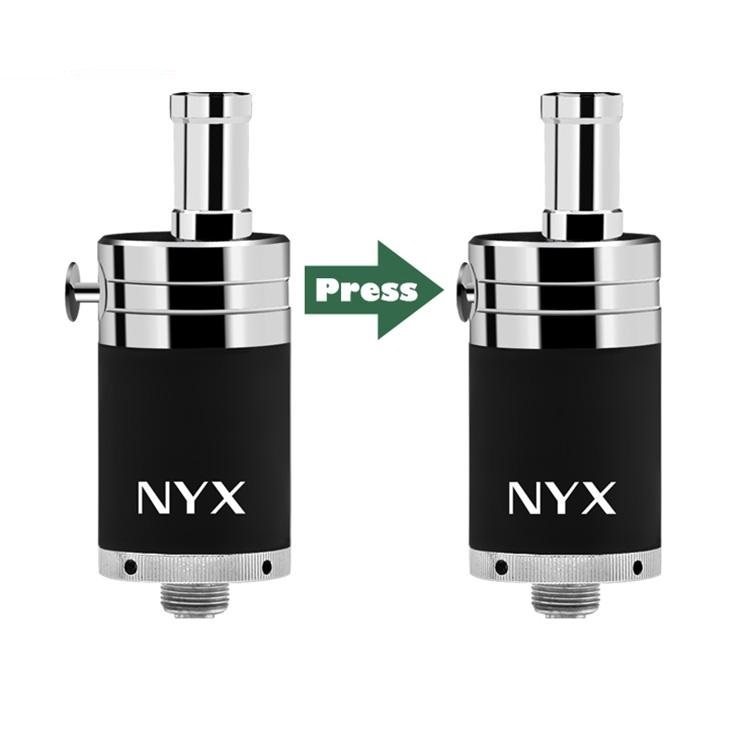 Each NYX cartridge from Yocan comes equipped with the cutting-edge QDC quartz dual coil atomizer. The dual coil construction allows for larger capacity while the pure glass quartz heating element will prevent a burnt smelling essence that often comes with traditional fiber or ceramic wicks. These atomizers will see best results within the power output range of 15-25W. 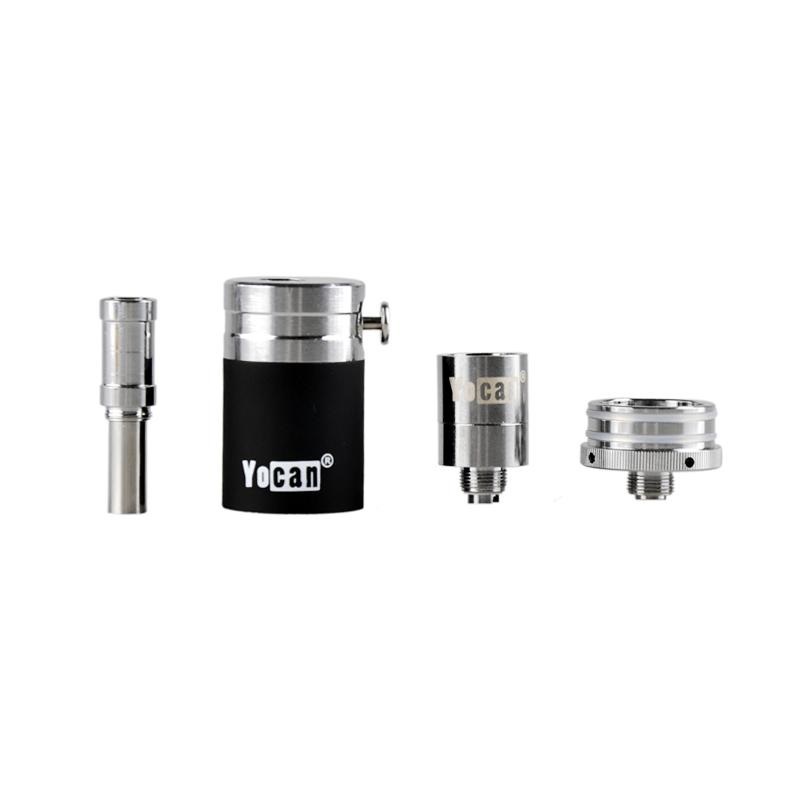 This innovative atomizer utilizes a no thread O-ring design that makes refilling the device a quick and simple process. Never again will you have to deal with sticky threads that never seem to match up, leaving you with you with more time to enjoy your favorite essences and less time making preparations. The NYX from Yocan also features a spring-loaded airflow system that grants you full control over your output. 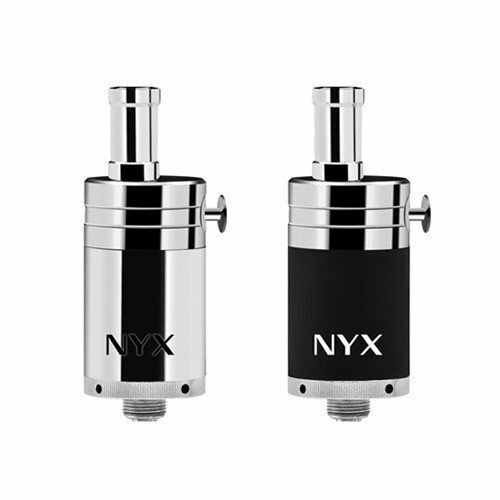 Fire the NYX atomizer without touching the vent button to fill the chamber. Once enough has collected simply press down the button to open the airway, this helps to ensure you are getting every last bit without allowing any to go to waste.